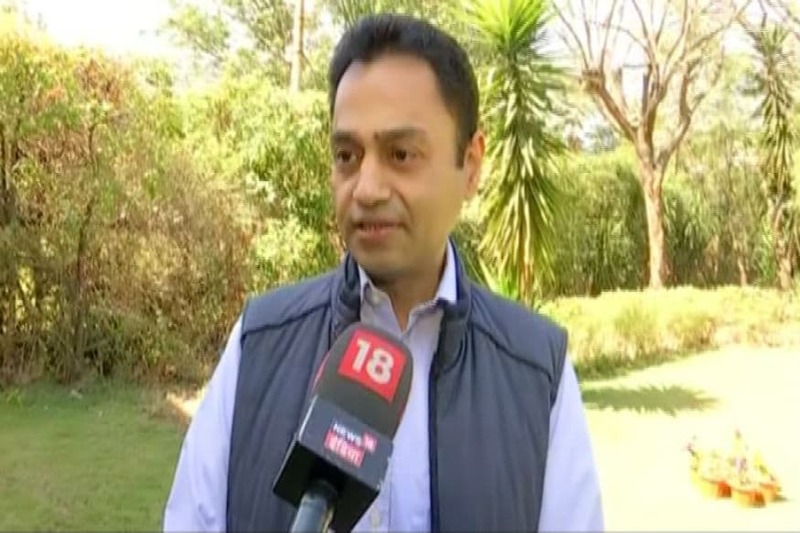 Bhopal: Amid speculations that Madhya Pradesh chief minister Kamal Nath’s elder son Nakul may contest the upcoming Lok Sabha polls from Chhindwara, the junior Nath has claimed that he would first go among the public and seek their advice. With general elections less than three months away, search for winnable candidates in the Congress has intensified. In the last Lok Sabha elections, the grand old party had won just two seats from this state though later, they won another in a by-election. The name of Priyadarshini Raje Scindia, Jyotiraditya Scindia’s wife, has also come up as a probable contestant from the family stronghold, Guna. Making it clear that he was no greenhorn in politics, the junior Nath said, “I have been visiting Chhindwara since I was five,” adding that he had campaigned in five Lok Sabha polls. Unlike his illustrious father who is no stranger to national and international politics, Nakul has always remained as a shadow of his father, handling election campaigns and meeting people on his behalf. Rumours that Nakul was being groomed as Nath’s heir, became stronger after he was seen seated right behind his father as the latter assumed office as the head of Pradesh Congress Committee last May. A video of Nakul saying ‘Consider me your candidate the day I would be seen clad in a kurta-pyajama instead of jeans-shirts’ has also gone viral. Recently, during a Chhindwara visit of his father, Nakul had accompanied him and was greeted by slogans – Hamara Sansad Kaisa Ho-Nakul Nath Jaisa Ho. The Congress has always showered its praise on Kamal Nath for single-handedly transforming the tribal-dominated district of Chhindwara. The party had also used the tagline in assembly polls that it was Shivraj’s mis-governance v/s Chhindwara’s development model. The seat is considered as the safest parliamentary constituency for the grand old party in Madhya Pradesh and this could be gauged from the fact that the Congress since formation of Madhya Pradesh, has lost the seat only once. Starting his political journey from 1980 at Chhindwara, Kamal Nath never had to taste defeat and it was only in 1997 that he lost in a by-poll in the hands of BJP’s Sundar Lal Patwa. Out of seven assembly seats in Chhindwara, Nath senior has hinted that he could opt for an Assembly seat among Chhindwara, Saunsar and Chourai, to get elected in the state legislature.